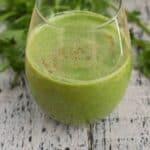 Baby kale green monster smoothie – an introduction to incorporating leafy greens to your smoothie with added fruit for overall sweetness. When I was approached by Florette salad to create a recipe for them I was honoured. This is my first time doing a recipe development post on the blog. I couldn’t think of what to make, well at least initially, so spent the last few weeks doing some trial and error around work, blogging and other commitments. 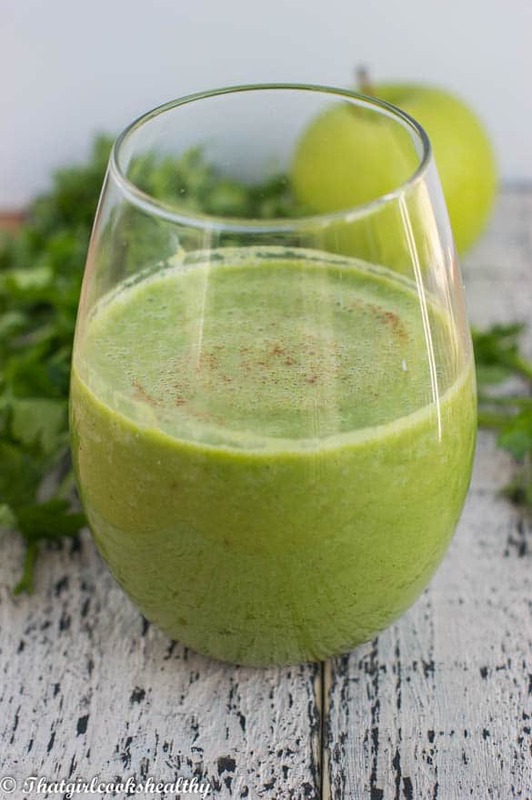 Finally a break through was on the horizon – a green monster smoothie using baby kale. Nowadays kale recipes are becoming popular, particularly amongst the health enthusiasts. Many people are taking the time out to discover that all the fuss is about with this little green bundle of goodness. Kale is nourishing to the body, if I could bring one non Caribbean vegetable on a deserted island it would have to kale, simply because of it’s health properties. It’s low in fat, so no need to worry about piling on the pounds, it’s a complex carbohydrate – no insulin spike. Also, it’s crammed with vitamin A (optical health), calcium (bone health), vitamin B6 (supports the metabolism), potassium and magnesium – help to balance the eletrocytes in the nervous system and flush out the kidneys. 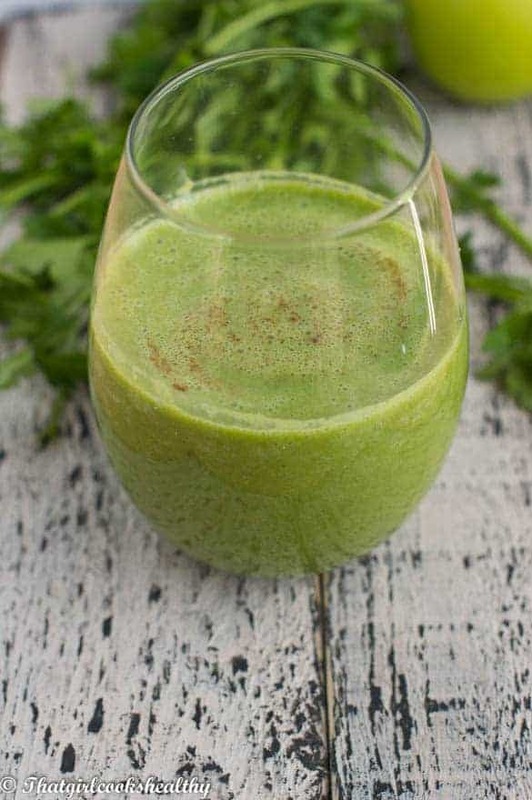 To be frank, a kale smoothie wouldn’t be appetising without some fruit to suppress that sugar craving that we often succumb to eating processed sugar. 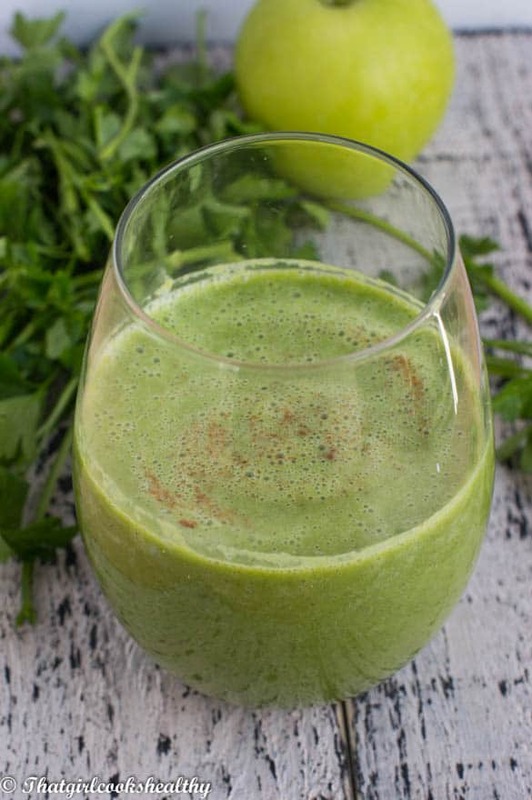 I included an assortment of fruits – banana, orange and apple, coconut milk and a few sprigs of parsley for some extra green goodness. ** This post is not sponsored nor affiliate marketing. I did not receive any financial subsides for submitting this recipe. Pour everything until a blender and blend into a smooth consistency. Serve and sprinkle the optional cinnamon on top.